As historians and people concerned about the treatment of grief, we can not stop showing you Tataranietos, a Barcelona company dedicated to genealogy. Mireia, its creator, tries to contribute to the living genealogy being a useful tool for all people. Who we are or where we come from are questions that should not go unanswered. This way she tells us in what her work consists of. Panateneas: Why do you dedicate yourself to genealogy? Tataranietos: Because I am restless and the genealogy is made for awake and passionate people, as a child I wanted to be like Jessica Fletcher and solve crimes and mysteries. The genealogy covers a lot of topics: anthropology, history, psychology, philosophy, bioethics, law, mourning, etc. And so I always have something new to learn that complements my work as a researcher. Also, I like to help other people find the pieces that are missing from their puzzle to understand the history of their family and thus better understand why they are the way they are. Panateneas: What services do you offer exactly? Tataranietos: The main one is archival research. I get orders from around the world from people who ask for help to find information about relatives and ancestors. 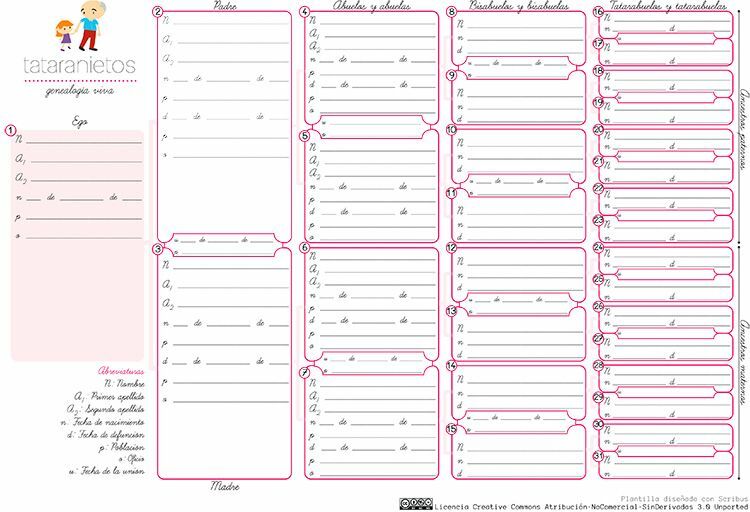 I make complete family trees, but only a few per year since they require a lot of time and concentration. I also train people who want to become their own researchers with my talks, workshops and in-person and online courses. In Genealogy for beginners I explain in 10 lessons everything you need to know to make a family tree and in My tree and me I delve into the knowledge of one’s family history through other therapeutic and creative forms. I also personally advise people who do not know how to find information about their ancestors and work hand in hand with those who want to understand what is the positive and negative influence of their ancestors in their life. Panateneas: How is your work related to grief? Tataranietos: I usually say that the genealogy is about dead, almost all the people that are part of a family tree are dead and if they are not, they will be sooner or later, so my discipline helps people to pay homage to their previous ones by rescuing all the data that they can over their lives and above all with the aim of not falling into oblivion. I am very clear that the family tree helps the mourners because they can see with perspective which is the place that belongs to us in life. Panateneas: In your blog you deal with the issue of death openly, do you think that in the end we will take the matter out of the sphere of taboo? How much road remains to be done? Tataranietos: Yes, I do my bit as you and other professionals, so we can talk about our dead without believing that this is negative and always melancholy. I usually raise the subject of death and fear that we all have when we realize that our existence will have an end in my workshops. Also in my family recently I managed to talk about documents of anticipated wills in a desktop without anyone feeling bad and everyone saw it in a very positive way. Panateneas: We have seen that you also offer help to make tributes and books of remembrance online. Can you tell us a bit more about this project? Tataranietos: I offer the possibility that my followers have a free space on the Internet to honor their loved ones and make payment souvenir books through the platform created by Solemnium. Panateneas: Why do you think it is so important for children to recover our origins? Tataranietos: I believe that children are concerned with their immediate origins, who are their father, mother, brothers, grandparents, etc. Adults must take care of ancestors and gradually explain family stories to our children without overwhelming them because if they are not motivated and we take out a family album and start telling anecdotes, they will disconnect and it will not do much good. That they ask more or less about the relatives they did not know depends a lot on the character of the child. Panateneas: What are the general ideas that you wanted to transmit in your book Nuevas Genealogías? 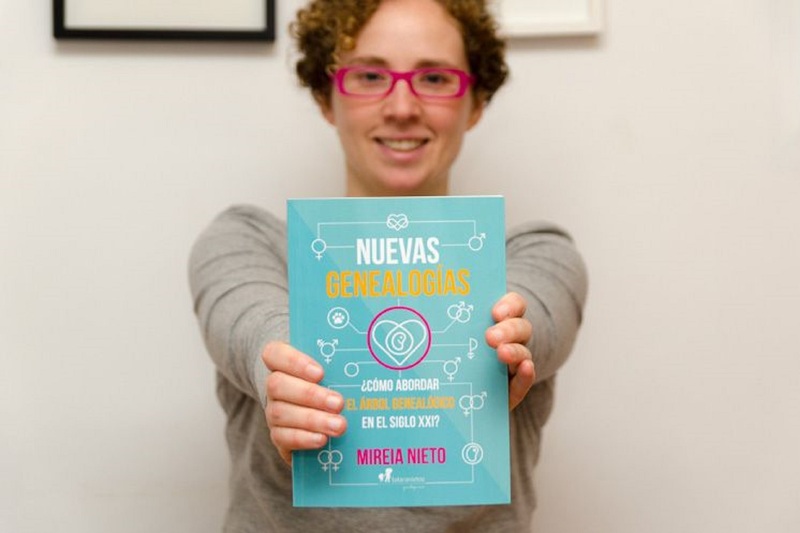 Tataranietos: Nuevas genealogías is my first book and I wanted to talk about my concerns as a family history professional. And I noticed that our discipline was not responding to all the changes that have occurred in society in recent years, especially those that result from the use of techniques of assisted human reproduction. Families have changed their format (reconstituted, single-parent, homoparental, co-parenting, etc.) and all have the right to be correctly reflected in a family tree. All family trees are subjective. Have not you got a terrible desire to start your search? At Panateneas we believe that it is very important to know where we come from and to be able to name our ancestors. Do not forget to check the website of Mireia, www.tataranietos.com, or read her interesting blog, beware that hooks!